. يعمل Anne's Waterfront Haven Bed and Breakfast على ضمان إقامة مريحة لضيوفه من خلال خدماته الممتازة وحسن ضيافته. يمكن الاستمتاع بمجموعة من الخدمات على أعلى المستويات في الفندق كمثل واي فاي مجاني في جميع الغرف, خدمة التنظيف يوميًا, تخزين الأمتعة, واي فاي في المناطق العامة, صف السيارات. بالإضافة لهذا، تتضمن كل غرف الضيوف مجموعة واسعة من وسائل الراحة . بعض الغرف توفر حتى تلفزيون بشاشة مسطحة, اتصال لاسلكي بالإنترنت, اتصال لاسلكي بشبكة الإنترنت (مجاني), غرف لغير المدخنين, مكيف هواء لإرضاء أكثر الضيوف تطلبًا. سواء كنت من محبي الرياضة أو كنت تتطلع لتفريغ عناء نهار صعب، ستجد خدمات ذات مستوى عالي بانتظارك كمثل حديقة. إن Anne's Waterfront Haven Bed and Breakfast هو خيارك لخدمة الفنادق الراقية في المدينة. يُرجى العلم أنه يجب على النزلاء الإشارة إلى موعد وصولهم التقديري في قسم الطلبات عند الحجز. The rooms were spacious and private with spectacular views when enjoying michelin star quality breakfasts prepared by Anne, our lovely host. Location was spot on, I highly recommend! This beautifully decorated and perfectly positioned b&b allowed us to eat a fine meal (anniversary dinner) very close by in a great restaurant and still only be 5 mins away. We were surprised at the exceptionally generous and perfectly cooked breakfast. We will certainly be returning and would reccomend to anyone. Anne was particularly lovely and gave us our space while attending to our every need. Excellent value. Truly a haven after a long day of driving. The bed (and pillows) were great, as were the views and the local walks. Anne is a gracious host and her breakfasts go above and beyond. 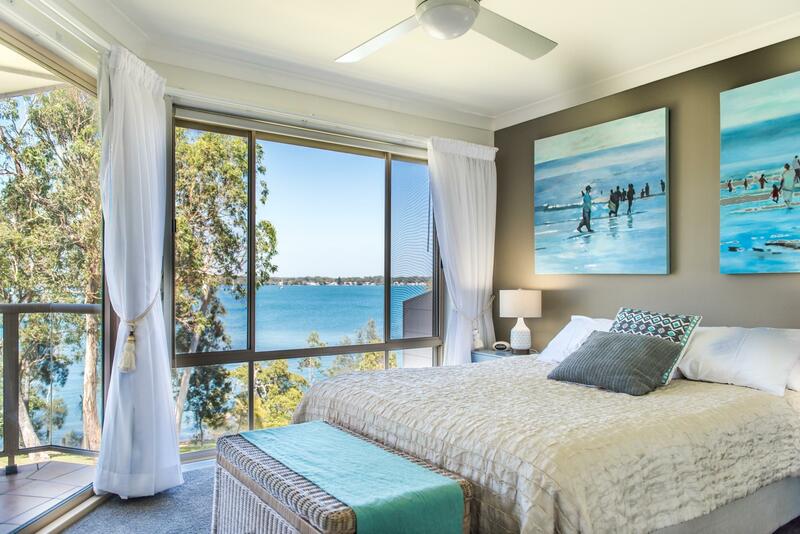 Anne has a beautiful waterfront property with views from the bedroom window and balcony. The house itself is very well situated for shops, restaurants and of course the beaches. Anne is a lovely lady and makes an absolutely amazing breakfast!! We very much enjoyed our stay and would recommend it to others. This is a beautiful place to stay. The view from the bedroom is spectacular and Anne is a fantastic host. Her breakfast not only tasted great but it was presented to us beautifully. The place is spotless and has all the home comforts you need. Highly recommend and we will be stopping here again if ever we are in the area ! We had a great stay at Anne's. The rooms were lovely and very well equipped. The view was amazing and the breakfasts superb. Anne herself was very kind and helpful. Highly recommend, lovely spot, friendly staff will be back. Very enjoyable, excellent accommodation with everything spot on. This was a very last minute stay. We were pleasantly surprised to find this little gem right on the water. The accommodation was lovely food was lovely as were the hosts. Highly recommended. it's actually within Anne's home. Very nice sea view. Anne is a very nice lady and can cook very good breakfast. The only thing I wasn't aware is that the check out time is at 10.30am, which I wish I knew earlier otherwise I wouldn't be so rush to packup. we had a fantastic time at anne's waterfront as their services were excellent, and the view of the room was great! the rooms were very clean.. with the tea room and the balcony and a lovely bathroom.. it was just like a home to us. 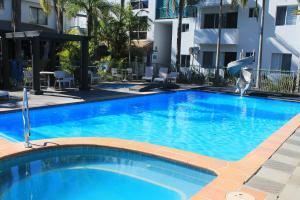 we will definitely recommend our friends to come here if they visit port stephens. We woke to wonderful water views every morning. Spacious accommodation with two rooms and ensuite for our own personal use. Excellent breakfast choices. Marvellous water's edge walks at our doorstep. Our hosts were very helpful in suggesting places to eat, see etc. Great view, spacious fresh room, amazing home-cooked breakfast. Great view, spacious fresh room, amazing home-cooked breakfast. I would recommend this to any couple seeking a romantic getaway. Lovely layout with a warm homely feeling.Very comfortable. Hostes was very friendly. privacy was maintained.lots of finishing touches.the bathroom was beautiful.Reasonably priced.Quiet surroundings.Parking was easy.We were made to feel at home. The room was light and airy.Bathrobes added a nice touch.Would definitely stay again.